The spasmodic increase of δ ϱm/ϱm in recombination. As a result the expected temperature fluctuations of relic radiation should be smaller than adiabatic fluctuations. In this article the value of δT/T arising from scattering of radiation on moving electrons is calculated; the velocity field is generated by adiabatic or entropy density perturbations. Fluctuations of the relic radiation due to secondary heating of the intergalactic gas are also estimated. 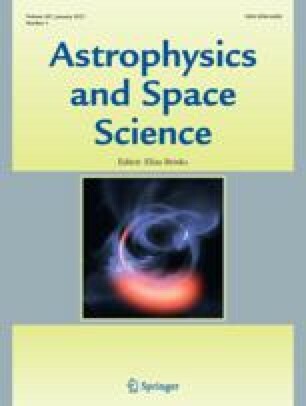 A detailed investigation of the spectrum of fluctuations may, in principle, lead to an understanding of the nature of initial density perturbations since a distinct periodic dependence of the spectral density of perturbations on wavelength (mass) is peculiar to adiabatic perturbations. Practical observations are quite difficult due to the smallness of the effects and the presence of fluctuations connected with discrete sources of radio emission. Translated from the Russian by D. F. Smith.